Our team is like a family, bound together by the same core values and passion for helping others. Click on the links below for an introduction to some of our family members! At BrightStar Care, we believe in investing to build the skills of our nurses and caregivers. We believe this allows our team to provide the absolute best care in the industry and live up to our ambitious goal of implementing a “Higher Standard of Home Care”. Each of the groups pictured below attended one of our team seminars- where we train our people to provide care for clients with specific conditions. We then test and certify these caregivers to work directly with those clients- knowing they can provide the best care. Each class is taught by subject matter experts and includes instruction on the best-practice care skills. We have teams in the areas of hospice, dementia, stroke, congestive heart failure, COPD, total joint replacement, pneumonia, etc. We also have teams for our nurses that teach emerging best practices in skilled care- including the areas of wound care, home infusion, ventilator and tracheostomy care, enteral and parenteral feedings (G-tube and J-tube), and skilled pediatrics. 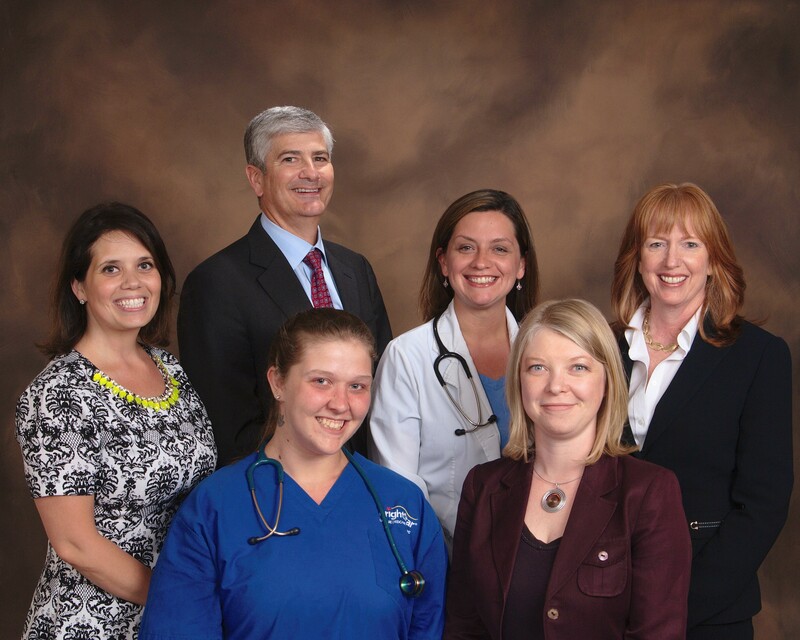 Our goal is to provide the best care quality and customer service in Northern Virginia. The BrightStar team members described below will work with you to ensure we exceed your expectations. These professionals manage our 24 x 7 service coverage, and you can contact them through our Customer Service line: (703) 267-2380, or email them directly at their email address listed below. Thank you for choosing BrightStar! Lauren oversees all clinical operations at the agency. She joined BrightStar in 2017 as our Director of Nursing and, prior to BrightStar, worked as a nurse for the INOVA Healthcare system. Lauren manages our RNs and LPNs directly and ensures that we meet and exceed the Joint Commission standards and that the care we provide is the highest quality possible. She can be reached at lauren.saytshur@brightstarcare.com. I just wanted to thank you both again." Please contact us online or call our Fairfax County offices at (703) 267-2380 and we'll be happy to answer them.